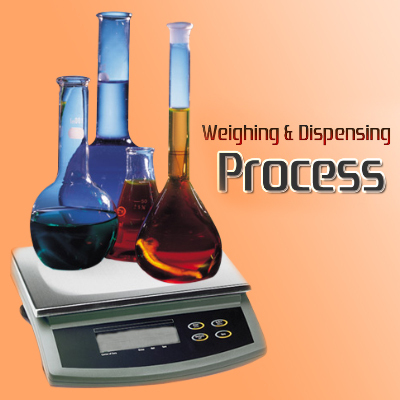 Weighing & dispensing process in Pharma industries plays an indispensable role. The increased regulations on the manufacturing processes in Pharma manufacturing industries led the focus and resulted in the advanced technology and strict policies and frameworks. Using the weigh and dispense process technology, the pharmaceutical companies can enhance the speed and accuracy of their operations. On the other hand, weighing and dispensing of solids & liquids is a very common activity throughout the pharmaceutical industry processes. Pharma materials are dispensed by hand-scooping solids and pumping or pouring liquids. This process can be done in a warehouse during chemical production or in a pharmacy during pharmaceutical dosage-form manufacturing. Due to spills, leaks and fugitive emissions, weighing and dispensing requires high end and workplace control measures are required to protect workers. Hence, weighing and dispensing should be performed in a partitioned workplace area with good dilution ventilation. Pharma materials can be dispensed by using hand-scooping solids and pumping or pouring liquids on paper-based methods for the tracking of key production information. This is the prevalent scenario even with the availability of computerized control and manufacturing execution systems in process industries. To adopt computerized systems, various factors are added to the reservedness of pharmaceutical manufacturers to adopt computerized systems. During 1997, the US Food and Drug Administration (FDA) had no policy controlling the acceptance of electronic records and electronic signatures. FDA has adopted Part 11 of Title 21 of the Code of Federal Regulations that is being enforced, where paper-based systems need not be replaced, but electronic records and signatures are accepted by the FDA as binding. The optimization with online production is possible using isolated manual work centers. 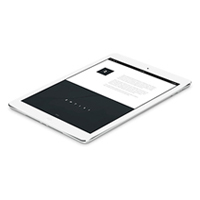 To write an entry, sign and/or date a record, a human is required in this process. But, there would be an opportunity to introduce error, which needs to be rectified with investigation that entails a lot of time and cost. In open system architecture, an ideal weight and dispensing system allows ease of operation. This system allows integration with other plant floor systems as well as business systems. Optimizing the weigh and dispensing operations is a critical step in realizing increased return on drug manufacturing assets. Rockwell Automation’s Weigh and Dispense Optimization solution maximizes the efficiency of dispensing operations and supports the overall manufacturing operations to drive greater business performance. The weighing and dispense optimization is architected to serve as a basis for and integrate seamlessly with plant-wide optimization solutions such as Electronic Batch Recording Systems and Plant Warehouse and Material Management Systems. This system is modular and can be integrated easily into a centrally managed plant production information system. Plant operations increased visibility can be enabled through the integration between manufacturing operations and control with ERP systems. Famar, a leading European contract drug manufacturer decided that weighing and dispensing automation would reduce cost and cycle time. It will guarantee total quality and improved throughput. In addition, weigh and dispense is the backbone of the manufacturing operation and ultimately the starting point of the batch record. As weighing and dispensing is the starting point to manufacturing process, it should be done right. It will be the starting point for a transition point for materials that comes from the warehouse and entering process areas. Layout, operation, and careful attention are essential to have high sophisticated equipment. Raw material staging, large lot dispensing, small and intermediate lot dispensing, equipment wash and preparation, low-humidity dispensing room, sterile dispensing, typical weighing and dispensing, weighing of hazardous materials, sterile weighing, warehouse waste movement, etc, are few stages of the manufacturing process and every other step weighing and dispensing methods are involved. Simatic IT XFP from Siemens is an all the company’s weighing and dispensing requirements. For its ease of use, product quality, capability to integrate with SAP, and ability to handle a wide range of product and weighing types are selected from Famar. Another important feature is its interactive user interface, through which operators are guided and can perform any weighing order. To enhance manufacturing operations, the XFP weighing & dispensing has been recognized. This is a full audit trail as it is validated based on industry standards. Data is gathered automatically ensuring compliant manufacturing for both active and non-active ingredients and allows for automatic reconciliation of each other. The integrated SAP enterprise resource planning system makes sure information is always precise in the form of master data, order data, and consumption information.